We will pick you up at 8:00 in Marrakech and drive towards Ouarzazate through the Tizi n'Tichka pass at 2260 m over the High Atlas Mountains. You will enjoy the landscapes and the beauty of Berber villages. 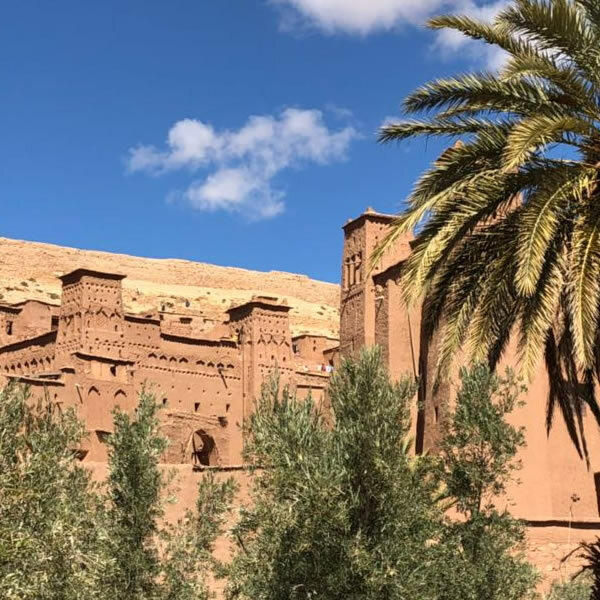 We will visit Kasbah of Ait Benhaddou ,which is the largest Kasbah in Morocco , and it is a UNESCO historical site(this famous kasbah was used as a backdrop for more than 20 film). 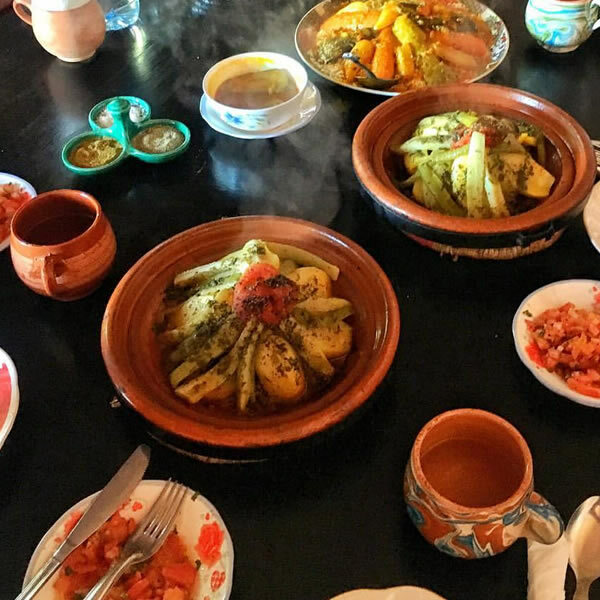 After breakfast in your Riad or Hotel around 8 AM we will start your day trip toward Chefchaouen (bleu city) which is a Morocco popular tourist attraction and welcoming town situated in the Rif Mountains just south of the Mediterranean coastline in northwest Morocco. This nice bleu city is known for its traditional buildings. Enjoy a walk to explore the white and blue washed walls of the medina and the markets that offer some unique native handicrafts. Chefchaouen is a fantastic destination for photography with its wonderful views of the Rif Mountains. Overnight accommodation at the hotel. After breakfast in your Hotel around 8 AM we will drive back to Marrakech, passing by Rabat where we will stop for a short visit of OUDAYA kasbah and Hassan Mosque. Then we’ll have lunch and we will continue to your Riad or Hotel in Marrakech.